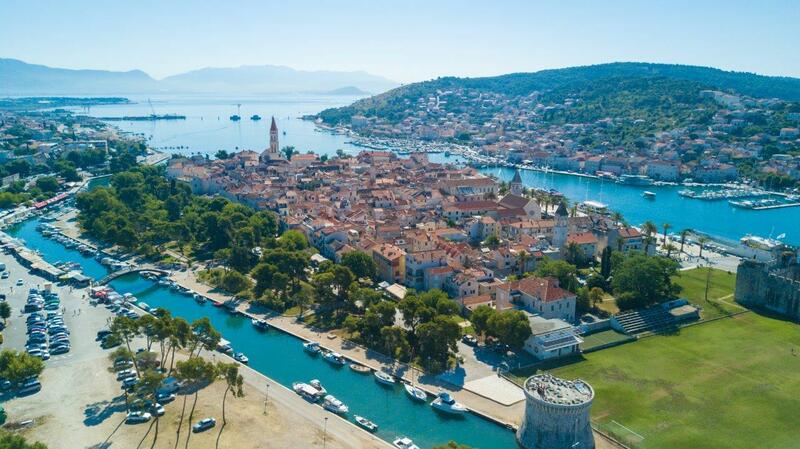 The utterly charming historical town of Trogir is inscribed in the UNESCO World Heritage List as a remarkable example of the Medieval preservation. Rich in cultural heritage, guests can stroll its narrow, cobbled streets and encounter beautiful hidden gardens at every turn. The beach lovers will have plenty of opportunity to bust out their beachwear towels and choose amongst the many pristine sea beaches on the island of Čiovo. 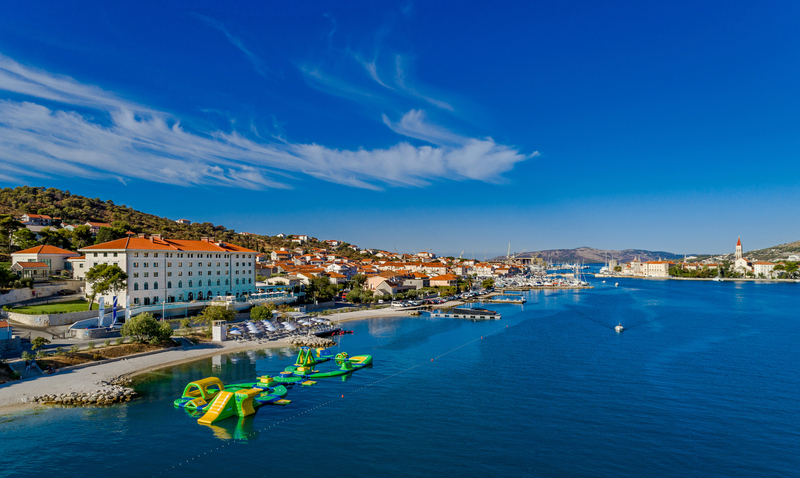 Trogir’s central location makes it an ideal base for exploring the nearby cities and natural parks. Do not miss a visit to Split, 17 centuries-old city founded by the Roman emperor Diocletian. Diocletian’s Palace is one of the most visited Croatian sights, but to feel like a local, walk down the palm tree-lined promenade, sip a coffee or cocktail and watch the passers-by. The nearby cities of Šibenik and Zadar also offer rich heritage and a laid-back Mediterranean lifestyle. If you are more of a nature lover, take a short drive to the national park Krka and immerse in the lush, green vegetation and enchanting waterfalls.